Since 25 August 2017, over 706,000 of the Rohingya* people have fled from Myanmar into Bangladesh and more than 919,000 refugees live in Bangladesh at last count.2 Those arriving in Bangladesh have shared stories about their villages being raided and burnt by the Myanmar military. 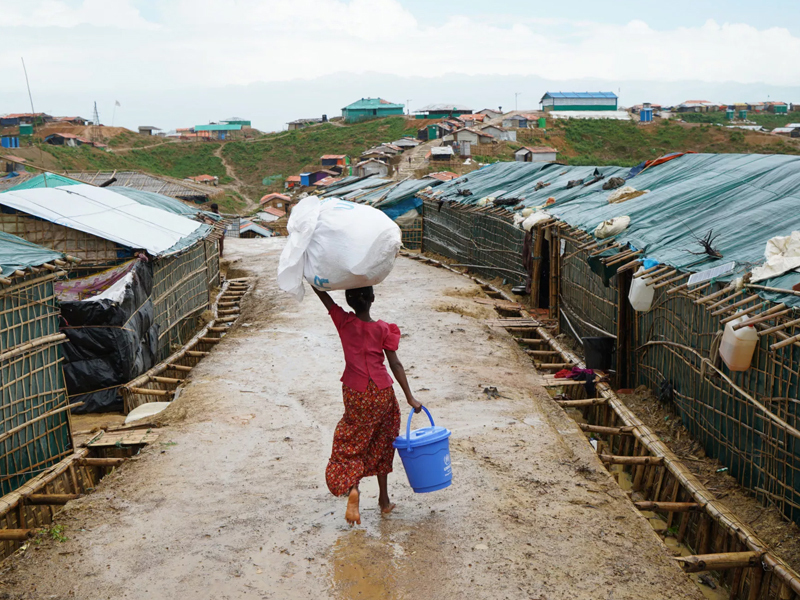 According to Médecins Sans Frontières (MSF)†, an international humanitarian aid organization providing emergency medical aid to millions of people worldwide, Rohingya refugees arriving in Bangladesh are in dire need of medical care. Finding shelter in the overcrowded camps is a challenge for the new arrivals. Population growth in such a short amount of time has resulted in a severe deterioration of living conditions in the camps. The situation is extremely precarious, with people lacking access to healthcare, safe drinking water, toilets and food. It is an acute emergency situation with huge humanitarian needs. Diabetes Voice contacted MSF to discuss diabetes in the camps, and while there are many other important priorities such as the availability of clean water and food, and care for infectious diseases, it is also known that the prevalence of diabetes in Southeast Asia is on the rise and difficult to manage.3,4 From August 2017 to September 2018 MSF provided 887,562 outpatient healthcare consultations to the Rohingya. Here’s what they had to say. What are the current health risks for the Rohingya? The Rohingya people are a vulnerable population. The living conditions in a refugee camp that counts hundreds of thousands of people in a confined space can contribute to an array of medical conditions. On the one hand, there are pathologies linked directly to hygiene, water and sanitation. For instance, respiratory tract infections, diarrheal diseases and skin infections and are the most common causes of consultation in our centers. On the other hand, NCDs, such as diabetes, hypertension and chronic obstructive pulmonary disease [COPD] are also present amongst this population. For new cases, the constraints for early detection and treatment may result in uncontrolled disease. For previously known cases, we may face acute exacerbations of the disease and increased morbidity and mortality. Finally, the overcrowding in the camps contributes to epidemic-prone diseases, as we have witnessed with the diphtheria outbreak earlier this year. We have observed an increase in the numbers in our centers; however, it is complicated to estimate the prevalence of non-communicable diseases in the camps, especially because of the challenge of early detection and lack of facilities that provide follow-up for known cases. We see previously diagnosed patients with uncontrolled blood glucose levels, as well newly-diagnosed cases, making the patient susceptible to long-term complications of diabetes. 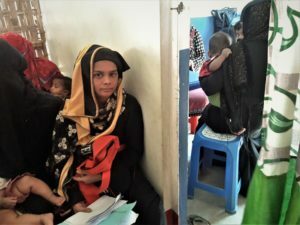 Is diabetes an issue for the Rohingya? What types of diabetes? The burden of chronic disease is generally minimized in refugee camp settings, due to the urgency of other health problems. However, healthcare facilities are receiving considerable amounts of NCD patients. 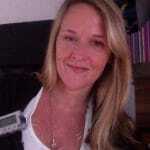 In the particular case of metabolic disorders, type 2 diabetes is present. We see previously diagnosed patients with uncontrolled blood glucose levels, as well newly-diagnosed cases, making the patient susceptible to long-term complications of diabetes. We are also confronted with the acute exacerbations of the disease, which are a medical emergency and can put the patient’s life at risk. What do people with diabetes do in the refugee camps to care for themselves? Is there a clinic? In these conditions, where food is scarce and sometimes unbalanced, people with diabetes have a lot of difficulties following the lifestyle advice they should have in order to control their disease. We provide NCD diagnosis and first-line treatment for our beneficiaries, however, at some point we are faced with several challenges, such as: difficulty to follow-up, poor living conditions [diet and exercise] and general lack of knowledge and understanding about chronic conditions. Where do diabetes supplies fall in the long list of health needs? Is there access to insulin, test strips, basic healthcare, oral medications and care for complications? Our health facilities count with the basic diagnosis and first-line treatment supplies for diabetic patients. We perform blood glucose tests, basic urinary testing and provide oral drugs for long-term control. We have some patients under insulin, but due to the living conditions in the camps, they need to come every day to the clinic in order to get their treatment. Insulin is also used when we face acute cases. Regarding complications, our primary health center’s duty is to prevent them by providing early treatment. However, if we are faced with severe complications, the staff is trained to identify them and refer them to a secondary-level structure in order to provide the according treatment. MSF’s medical facility in Kutupalong was the first place of call for Nur Haba after fleeing Rakhine state, Myanmar. At that time, diabetes was not yet a concern: she was 24 years old and at nine months pregnant, very close to giving birth. Then one early morning in October 2017 the army surrounded her village near Maungdaw. “They first set fire to the homes,” she recalls. “As people started to flee, the army fired on people. Some were caught and arrested.” Miraculously, nobody from her family was hurt. “We managed to get to the river and cross by boat into Bangladesh but I was too weak to move so my brothers carried me most of the way,” she said. I was having trouble breathing and felt nauseous and was treated for acute asthma. That was when I was diagnosed with diabetes. Nur is sitting in the packed waiting room of MSF’s Kutupalong medical facility, which serves a population of over 600,000 people from the nearby camp as well as the host community. Her hands are shaking while she holds on to a thick stack of medical papers and she looks agitated. She is soon moved to the ER department and put on a drip. Slowly her hands stop shaking, she seems more relaxed and she resumes her story: “I promise that this time I will follow the doctor’s advice and continue the diabetes treatment, but even if the treatment is free, I still need to find money for transport; and money is an issue. My two younger brothers, who are 10 and 13 years old, are the only ones supporting the family. My husband is disabled; he is too weak to work. The boys go out in the forest to collect wood and sell it to raise some cash. It can be dangerous out there with elephants and wild animals roaming, so they go in a group. I would have walked to the hospital, but I felt too weak today, so my husband and I took a tom-tom (an electric three-wheeler). It’s a 30-minute drive from Kutupalong camp where I now live and it’s expensive taking a tom-tom, but this is the best place to come to”. To help, make a donation to MSF and and CLICK HERE. *The Rohingya people are a stateless ethnic group, the majority of whom are Muslim, who have lived for centuries in the majority Buddhist Myanmar. Described by the United Nations in 2013 as one of the most persecuted minorities in the world, the Rohingya are denied citizenship under Myanmar law. Due to ongoing violence and persecution, hundreds of thousands of Rohingya have fled to neighbouring countries, either by land or by boat, over the course of many decades. †Médecins Sans Frontières (MSF), a non-profit, self-governed, member-based organisation, translates to Doctors without Borders. MSF provides medical assistance to people affected by conflict, epidemics, disasters, or exclusion from healthcare. Teams are made up of tens of thousands of health professionals, logistic and administrative staff, bound together by their charter. MSF actions are guided by medical ethics and the principles of impartiality, independence and neutrality. Masud AA, Ahmed S, Sultana R, et al. Health Problems and Health Care Seeking Behaviour of Rohingya Refugees. JMRI 2017; 1: 21-29.